With the league season well under way, and the transfer deadline window shutting later on tonight, Charlton play in their second cup competition of the season. Hopefully, they will do better than they did in the League Cup, and I fully expect the team to progress against Dagenham and Redbridge at The Valley this evening. 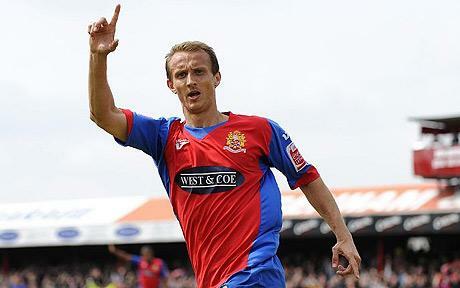 Manager Phil Parkinson has at least been able to bring his squad more up to strength with three recent acquisitions. Jonathan Fortune (left) has returned to the club after little more than a season away; Forch was always respected at Charlton by the fans, most notably for getting Alan Shearer sent off and also for scoring a goal that sent Iain Dowie (spit!) and his team spinning to relegation. Solid and dependable, but not blessed with great pace, Forch should be Ok in this league. Looking at the squad though, it is not clear why another centre half is required, especially as Fortune has only been contracted until January, and doubts must now be raised over Miguel Llera’s future at The Valley. With Christian Dailly, Gary Doherty, Matt Fry, and Fortune around, game time for Llera and Yado Mambo will be short, so I expect one or both to move out on loan at some near future stage. 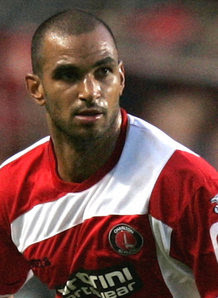 The two other signings have been protracted over several weeks; Charlton made no secret of their desire to sign Paul Benson (left) from tonight’s opponents, and having finally prised him away, he could yet face up to his former team-mates very quickly (if not tonight, then in a couple of weeks when the league game is played). Benson is not young, but he is nippy for a big man and with an eye for goal. Very much an inside forward, he will play alongside either Pawel Abbott or Akpo Sodje when the side needs two out-and-out strikers. The worry is that he does not make the adjustment from non-league to League Two to League One (he played four games but did not score for Daggers this season), and that the time and effort needed for him to bed in wastes the start to the season that Charlton really need. Of course, should he find his scoring boots quickly, and form a partnership that flourishes, then he will soon attain god-like status afforded to anyone who hits the back of the net regularly in our red-shirted team. Pushing Benson up front, and also providing competition for our wingers is the third signing, Joe Anyinsah (left). Anyinsah played for Carlisle last season, and did well scoring 13 times, playing in most of their league games. Although 25-year old Joe has played for eight league teams in his short career (four on loan), he has only scored for Carlisle, so hopefully Charlton fans will see him hit the back of the net too. Whether he can oust Scott Wagstaff or Kyel Reid from the starting eleven remains to be seen, but he does look like he could be useful to have available on the bench each week. The three signings (if not by name) were mentioned at last weeks EGM, which saw Richard Murray take full control of the club. Some may not like Murray taking sole control, but as he said at the meeting, if anyone else had a spare £5million to put into the club, then they were welcome to assume control, but nobody did, so that leaves our long time saviour in charge and able to control the club as he see’s fit. I do expect there to be new investment in the next few weeks, and if talks progress as expected I would not be at all surprised to see a new director rolled out either at or prior to the Notts County game at The Valley on September 11th. Go on, you know it makes sense! It is a shame that fans like myself cannot be called shareholders any longer, even if our share-certificate piece of paper has been worthless for quite some time. The three signings, the takeover by Murray, and the hope for new investment are all boosts for the club after a couple of setbacks on the pitch. The 1-1 draw against a vibrant Oldham was not unexpected, and I do think that Oldham may surprise a number of sides if they keep their better players. The bench looked decidedly thin that day, so three new players will undoubtedly help. Saturdays’ loss to Huddersfield was also not too much of a surprise if we take last years form into consideration. Both the teams made the play offs, but failed to get to Wembley, but Town had by far the better home form, and have backed that up by making some significant signings in the close season. Charlton’s own problems, especially when conceding first, came to the for somewhat, but Parky will continue to work on these issues I’m sure, and with a set of easier looking games (on paper) coming up, I expect to see the results improve in September. The make up of the division makes fascinating reading just now, and with fancied teams like (manager-less) Southampton and Charlton yet to really hit it off, it has been left to two relegated teams to blaze the goal trail; Peterborough have three in-form forwards and enough firepower to blitz most sides at this level, and I see them as a major hurdle to any side trying to win this league. Sheffield Wednesday are also showing their class and will also provide tough opposition as the season goes on. Early table-toppers Oldham and Carlisle will do well to retain their lofty places, and by the end of September we should see a more expected hierarchy I feel. I’ll be at the game tonight, though I think a blanket rather than t-shirt might be needed such is our weather at the moment. A good result at home tonight will enable confidence to breed down in Devon at the weekend, and then hopefully the winning momentum should take us through much of the rest of the month. Three games in, and Charlton can count themselves quite content with how the results have gone so far this season. Two league victories, and a great first half hour in the Carling Cup have left most of us fans smiling, even though the last hour at Shrewsbury wiped that particular competition from our aims this year. With so many new players joining the club, it will always take a certain amount of time for them to gel, and play as a team should, but such is the positivity surrounding the Club at present, then we are quite happy with performances so far. Phil Parkinson looks to have bought wisely, and with Richard Murray about to assume sole responsibility for club ownership, he has even offered the odd-transfer payment to be made in securing Pawel Abbott and Simon Francis (and there may be more to come?). Abbott could be the missing link that the team has been looking for in the last 24 months. While I respect the effort that Deon Burton made for the club, to me, he wasn’t the type of player that we needed, simply as he was too static and had very little pace. The glut of goals (including penalties) hid this at the start of last season, but after Xmas, when any scoring threat dried up, Burton was a liability. Sadly, at that time, we had few viable options. With Abbott in the side, we have more movement, more threat, and much more skill. Abbott is also just as good at the art of holding the ball up for the team, and (as we saw at Orient) is quite willing to play the lone striker role and run his heart out if it is required. 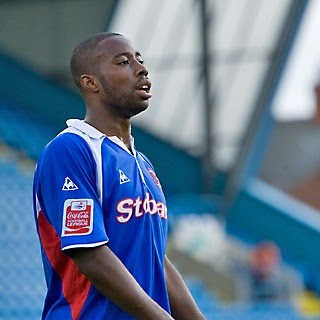 The addition of movement into the side has also seen Lee Martin join on a season-long loan from Ipswich. Martin was obviously out of favour with Roy Keane’s team, and this move will give him the opportunity to get his career back on track. If first looks are worth anything, then it does seem like we have made a great signing, as he has skill, speed, a great football brain, a fine shot, and a willingness to play as part of the team. Whether he plays most of the season up front, or on the wing, I think we have a genuine Player-of-the-Year contender here. Simon Francis is another new recruit who has just about settled into the team now. Displacing Chris Solly after his man-of-the-match performance against Bournemouth was a tough choice to make, but Francis’s height was very necessary against Orient, and once he has his kicking boots fitted properly, I expect him to be another fine signing. Francis is a totally different sort of full-back to the man he replaced (Frazer Richardson), but no less an athlete. With Solly able to cover both full backs plus any midfield place from the bench, I expect him to get plenty of game time as the season progresses, and hopefully he can add to the terrific late goal he got at Brisbane Road. Francis’s ex-Southend team-mate Alan McCormack has also had a goodstart to his Charlton career. Not someone I had remembered or heard of previously, I thought he may simply provide midfield cover from the bench this season, but a couple of decent displays in the first two league games show that he is much more than that. A decent tackler,and one who isn’t afraid to throw himself in front of shots show that he has a touch of the Nicky Bailey’s about him; the way he ghosted in and headed Charlton ahead last Friday indicate that he may not have ginger hair but he can score goals too. Bailey hasn’t been missed so far in SE7, and that is a great sign. McCormack has also needed to step up to the plate as his holding midfield compadre departed in the opening game of the season when the referee brandished a straight red card at Jose Semedo. Although unfortunate, I can understand the ref’s viewpoint (he gets one look,and has to make a call…), but it is disappointing when those at the FA have a chance to watch it on video, and still come up with the wrong decision; we have no option but to suffer the three-game ban now. As for Christian Dailly’s red card, well, you can understand both offences picking up a yellow, and it was Dailly’s poor control that predicated the lunge that picked up second card. At least the Scot only misses one match. With those two players – first and second in the fans poll from last season – missing on Saturday, others will need to step forward. Gary Doherty has those such leadership qualities, and though he was in part responsible for the Orient goal on Friday night (after Therry Racon gave the ball away cheaply), he has performed pretty well in his games so far. Not blessed with great pace, he does have great experience, and uses this to the full (much as Dailly does). With Johnnie Jackson playing well within himself at left back, the defence does look sound, and with cover in the shape of Matt Fry (who I expect to replace Dailly on Saturday provided he is fit from his calf niggle), Miguel Llera, and youngster Yado Mambo, it has meant that the clamour for the signing of Jon Fortune (who has been training with the club and played in another friendly this week) has abated. All told, the squad has good balance, and some fine additions. I do feel that with one or maybe two extra signings we will have a squad capable of challenging at the very top of the league table. A bench that contains Tuna, Solly, Mambo, and Stavrinou is great for Valley Gold, but is a little short on experience for my liking over a 46-match season. 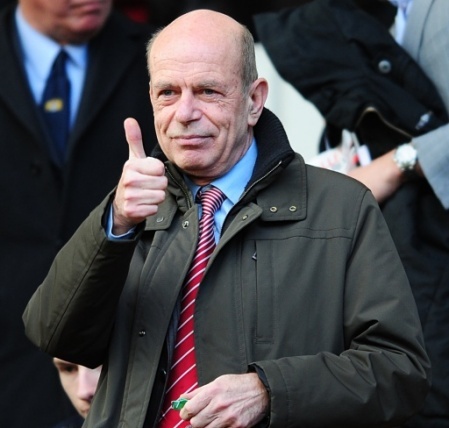 Next Monday sees the EGM at The Valley where Richard Murray will take sole ownership/leadership of the club. This is a good thing, make no mistake, but I do wish that it was easier to understand with respect to those fans that hold shares in the PLC when all the talk is of buying up the Football Club and Holding Company, and the transfer of inter-company debt. My shares may not be worth anything, but they are mine, and I would like to keep them! I’m sure it will all be clarified next week. This also leaves the club nicely poised to accept additional investment, but I’m sure that those talking to Murray will know that. With season ticket sales up to around 9,000, and a top of the table clash at home on Saturday, it will be good to get back at The Valley; we may not see the opening six-game winning streak of last season, but I fully expect us to go two points clear at the top of the table come 4.45.